Additional Details This item comes complete with a Raymond Lee Jewelers Presentation Box! Categories: Bracelets, Gemstone Jewelry, Gold, Jewelry, Sapphire Jewelry, with Diamonds, with Gemstones. 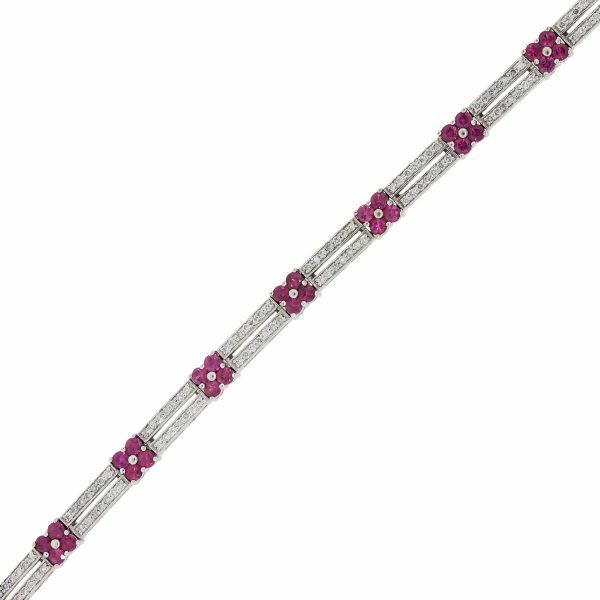 Tags: Diamond Bracelet, double row bracelet, Pink Sapphire Bracelet, White Gold Bracelet.